HARLEM, Manhattan (WABC) -- Police have arrested a teen in a subway slashing in Harlem earlier this week. Victor Cherry, 17, of Bronx, was charged with second-degree assault, criminal possession of a weapon and third-degree menacing. 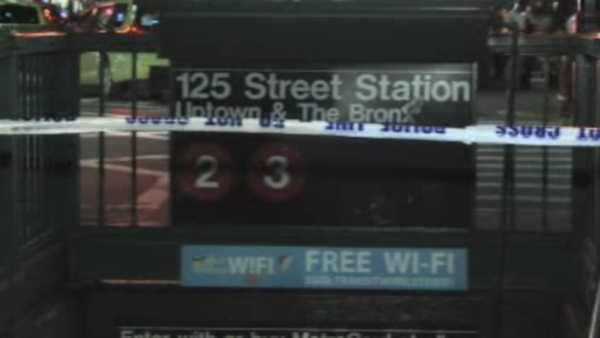 Around 8 p.m. Tuesday, according to the New York City Police Department, the suspect was sitting on a turnstile at the 125th Street station. When the victim asked the suspect to move so he could get on the train, the suspect stabbed him in the left hand and slashed him in the right hand, police said. Cherry was arrested after police officers recognized him from surveillance pictures. When the officers got off a train at the 116th Street station Wednesday afternoon, they spotted Cherry sitting on a bench.